We know that corporate interiors and environments are more than simply a place to transact business—they are an experience that is designed to support an organization’s unique culture and needs. From rendering to reality, 2020 Exhibits is proud to be a part of some extraordinary transformations. 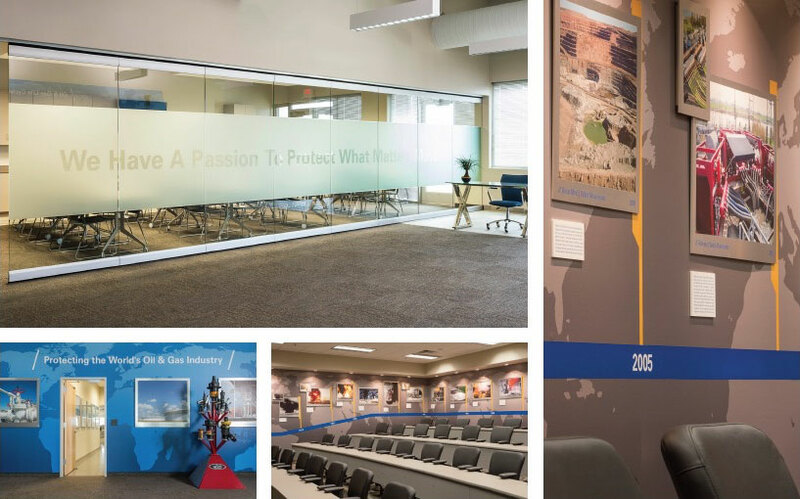 1 Tyco’s mission, vision and values, boldly seen and felt throughout the space. Learn more. 2 Sophisticated, modern and crisp, the perfect grand entrance. Learn more. 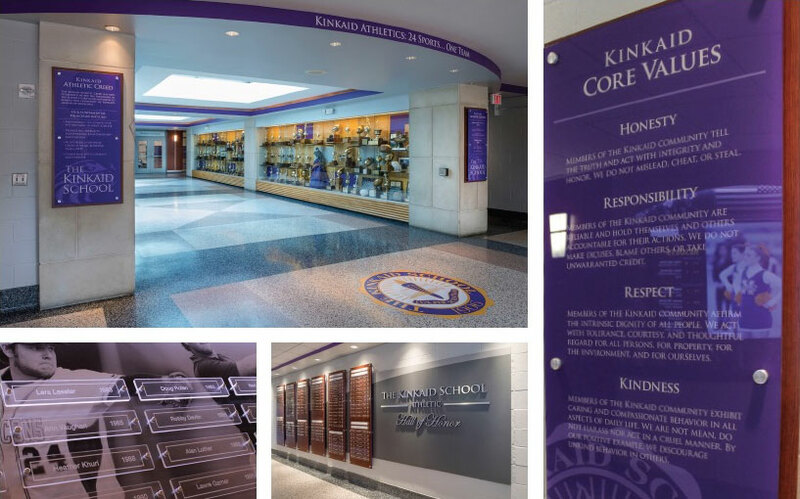 3 From entry to exit, the Hall of Honor is awash in Falcon spirit and style, serving as a reminder and reinforcement of Kinkaid’s measure of excellence that will serve as an inspiration and celebration for years to come. Learn more. 4 Hello? 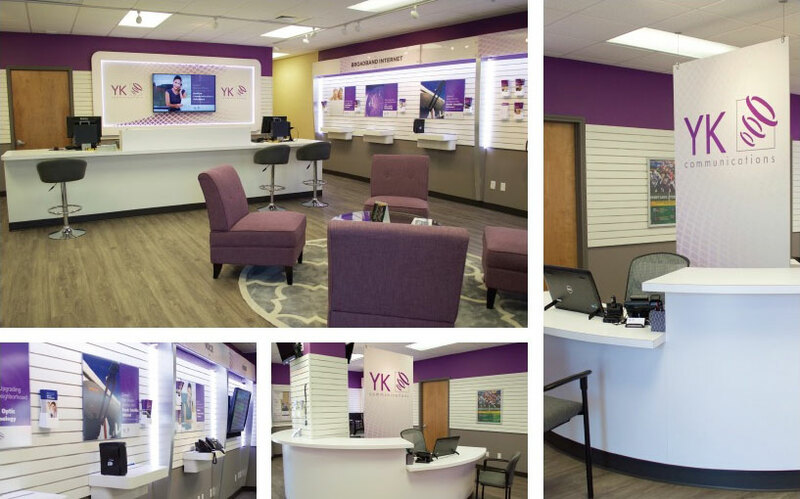 The perfect answer for YK Communications retail showroom and sales center. Ringing in with solid and rich branding, as never before. Contact Us. 5 Game On! Wrapped in comfort and style, this Houston Texans’ luxury suite offers the perfect view – from every angle. Learn more. 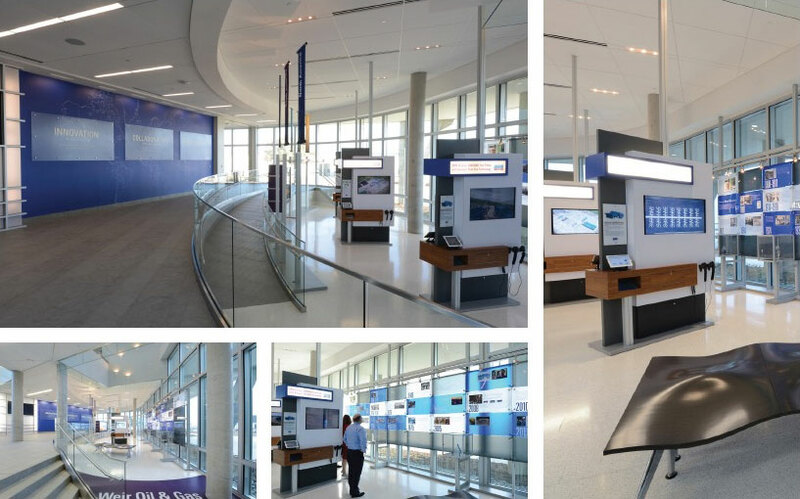 Offering a wide range of bundled products, services and technologies including 3D visualization, interactive multimedia, custom-designed furniture, and worldwide digital signage capabilities, 2020 Exhibits leverages the power of creative design and turn-key program management to deliver state-of-the-art interiors and environments.